Item AB 24 in George Jones catalogue, described as a square Royal shape tray. Lovely small dish with wavy rim standing on small foot. 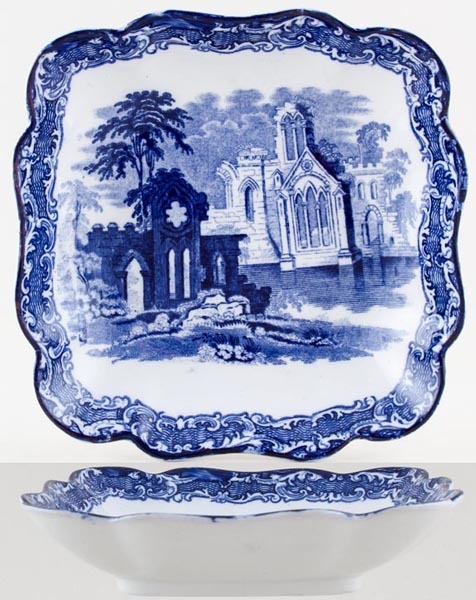 Backstamp: Abbey 1790 England Geo Jones & Sons. A little minor blue smudging otherwise excellent condition.